The BME lead act kicks up the year with a street anthem. 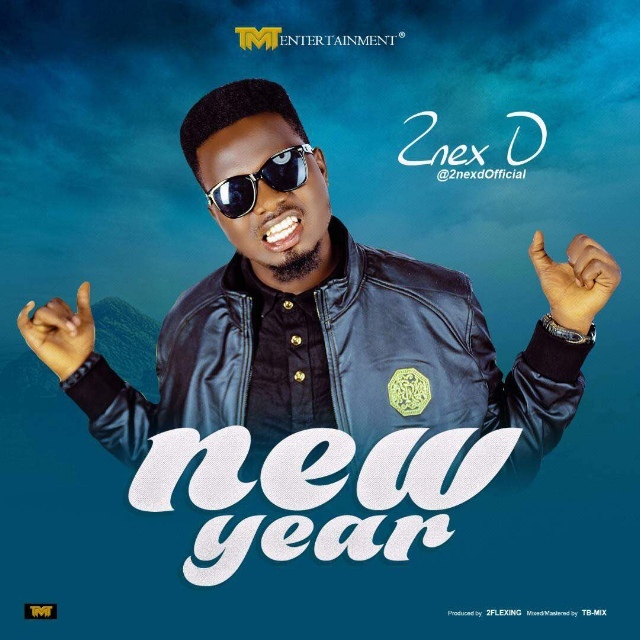 Last year was very huge for W.Star with songs like Amin, Ondo City and the rest and this year, he is deciding to give it back to the fans in twos (Double). TMT Entertainment presents 2nex D a.k.a TMT Mafia on this amazing single titled This Year, 2nex D who has worked with artist in the likes of Seriki, Small Doctor, Famous and Henry Knight. The young talented act been working hard in recent year back to back, and set to open his chart for 2018. Believe me you goona love this !! Produced by brite aye, mixed and mastered by keezy boiwonda, trumpets by adonis. Rising Lagos state based singer, Tobechukwu Chima aka Drack Shezee makes his first appearance in 2018 with a brand new reggae influenced dance hall vibe titled CAUSE TROUBLE. As usual, he linked up with his regular collaborator song he titled Angel Angela. A love song and equally a prayer to God requesting that love be sent straight from heaven to meet him. OBEEZ is a promising act we should look out for in 2018. DJ FLOWKEY is here with a fantastic collation of the top songs. This is a Mixtape that can set you up in a party mood, anytime any day. Download this Mixtape to find out the track list. 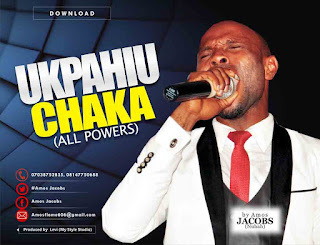 Shakara Waka is a brand new magical single featuring Pixie, Chidokeyz and Ben Anansi. The trio are currently signed to BO Entertainment. The song is promising and to me, its a potential hit. They have gone ahead to shoot a video for it. Personally I like this new song... watch the video and tell me what you think. Shakara waka is produced by Syn X, the producer responsible for most of the songs on the new Ycee & Bella EP, Late Night Vibrations. The video was shot an directed by Adamsgud. You can get the song on iTunes and Spotify. Sukzy delivered on the Yovi's #OshaPrapra hit to create another Masterpierce jam. 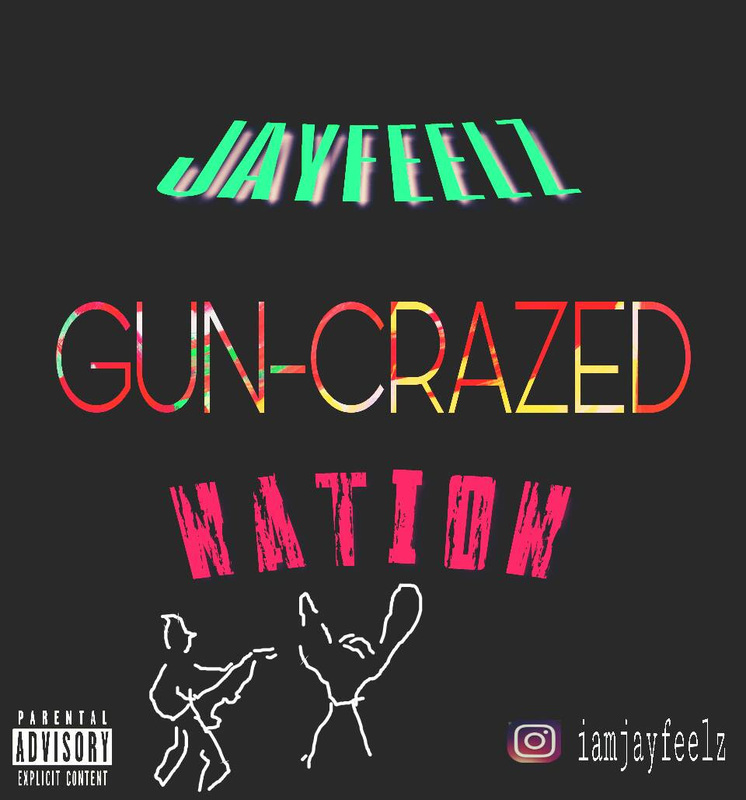 Rapper, singer-songwriter, Jeremiah aka Jayfeelz has released an emotional new single titled, "Gun-Crazed Nation" dedicated to the victims of the Special Anti-Robbery Squad (SARS) brutality & victims of Fulani Herdsmen attack. 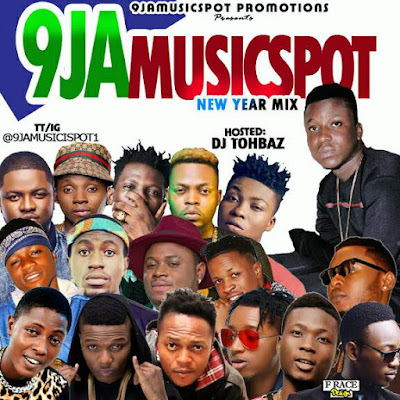 PRESS RELEASE: 9jamusicspot Promotions drop hot mix titled 9jamusicspot New Year Mix, Hosted by World famous Dj Tohbaz, This is a mixtape that has the best selections of 9ja superstars, you will defintitely love this compilation, hit the download link below now.. Download, Listen and Share. TR Gang present their fast rising artiste J-Fash with his first hit single of the year titled "Duro Re" (Stand Proper), which was mixed and mastered by Young Tee. DON PABLO is a graduate of Pure and Industrial Chemistry from university of port Harcourt, his full names are Igho Ogagaoghene Peter, He hails from Delta State, Nigeria. Started singing from the tender age of 7, after the success of his previous singles "Heart Robber" & "More Dollar" He decided to team up with Mr Shaba (SOLIDSTAR) on this lovely song titled "Baby Girl" produced by Popito. The King of The East known as “ Tidinz “ The Jungleciti Lion is kicking off the year with the Audio and Visual to his song titled“ IGBO “. produced by Benjamz. Every Igbo Person in the world go get this tune ASAP. This is the new Igbo Anthem. Banger Alert. Download and thank me later. Following his last single “Am a Winner “, Nigerian sensation and independent rapper, KENNIHGEE is back with another hit, "JAM IT". He titles it "Kampe" featuring and produced by Anyhow Record's Tha Suspect. Kampe is a song dedicated to all the lovers out there. Enjoy the tune. Elveektor has released a brand new EP, Sonrise. The 8-track EP is proof that the young indigenous rapper will be around for a very long time. Sonrise EP is a strong punch by ElVeektor which will help accelerate his transition from a featherweight rapper to a heavyweight in Nigeria's hip-hop scene. Guest appearances on this fantastic body of work includes: Chidokeyz, Dr Jay, Paragon, Teoh, Grillo and RapDibia with production credits by Syn X, Melvin, Grillo, Nacho and Derrick. All songs mixed and mastered by Spane 5, BiggSounds and Syn X. Follow @elveektor on all social media platform. 2018 has began for BACI with a Banging "NEW DAWN ERA" Single titled " FOLLOW YOU " featuring Africa's rap sensation in "ICE PRINCE" as produced by SELEBOBO. The song is a remix of an original hit from his days at TripleMG and is coming off of the soon to be released EP album titled #BaciTheEP. #XIVPoolParty 14th February, 2018 in Uyo. And it's on ... ! The maddest, wildest, romantic pool party ever in the city of Uyo - the #XIVPoolParty v1.0 births at DE VEGAS PARADISE, 129 Udo Udoma Street, Uyo and all the swimming and partying starts from 12:00 noon till whenever! Guests will be entertained intermittently to live stage performances from select A-list indigenous artistes such as L-J SAAAVIOUR, Oga Sir, DJ Santo etc to mention a few, just for your Valentine's day pleasure as Superstar DJ Brightstar takes charge of the Hits. There will also be a Radio DJ "Bragging Rights" Competition, which features one DJ from each of all the radio stations within and around the Uyo metropolis, competing against each other for the bragging right as the best of the best radio station DJ in town. Other fun packs lined up for your pleasure and entertainment include the couples serenade, the best kiss, truth or dare, devil's basket, beer pong, etc. Dress code: white, with a touch of Red. OlodoMusic here with the second Mixtape of The Year 2018 #PartyTakeOverMix Vol. 1 which is Hosted By DJ Unbeatable of Vibes 97.3 Fm. We hereby invite you to the Nigeria Bloggers Forum “Man of The Year Awards” Event. After releasing Hits back-to-back in 2017, Clonbaba comes through with B.O.T.G [Beat Of The gods]. He teams up with Oga Sir to make this yet another Rap Hit from the Akwa-Ibom based young Stars. Top Notch Nigerian DJ X.O.D features “Dance” crooner Asho on this hot banger tune titled “PLAY”. Hit up the mp3 download button to Download ‘Play‘ by DJ X.O.D ft. Asho Beneath. Don’t forget to share. 1Versatile producer, sound engineer & songwriter Tubosun Olowe, popularly known as TeeBeeO just released his first single of 2018, titled “What I Hate”. Produced by him, the song features indigenous female rapper, Tipsy. #WhatIHate is an upbeat Afropop tune, influenced by the raving shaku-shaku dance & addresses some social issues from a slightly comical angle. TeeBeeO, who has worked with numerous notable names in the industry (like D’banj, JJC, Davido, Wandecoal, Dammykrane, Kayswitch, to mention a few) is also a lecturer of Audio Production at the department of Music & Creative Arts, Babcock University. Cop #WhatIHate & feel free to share your thoughts. ​After Anticipating The Release Of His First Single Of The Year “Carpenter”, Javvy Green a.k.a Obong Owo/King Of The Street Surprises His Music Lovers With This Super Classic tune Titled “99” featuring Sirius Empire Star Act “FreshBerry”. The Song Produced By Hofishal Sounds Was Inspired By #Psalm123 And A True Love Story; then “Javvy Green” The Staunch Music Cartel Rap Gem Classically Delivers His Flows In Harmonic Style Flawlessly Blending Each Line With His Rare Uniqueness. Following an impressive run in 2017 & in anticipation of his upcoming project "BARS 3", which serves a s a follow up to his 2017 project "BARS 2", Payper Corleone has decided to be generous and give us a 16 track Mixtape containing Rap remixes to a host of hit songs that rocked 2017 & the early days of 2018. The name "Payper Corleone" in the HipHop community is synonymous to consistency. Enjoy this fire compilation & be kind enough to refer someone to it. Kpakam Syndicate frontman LOUISVILLE just released this addictive tune SHAWARMA to reassure everybody of how progressive this new year will be. LOUISVILLE just don’t make music but when he does its always a banger. Everybody likes Shawarma. This is very addictive, I tell you ohhh. Download, listen and Share. The Gbagyi Bars Spitting Rapper / New Era Entertainments finest Moses john known by his stage name M-son is out with the visuals To his previously Released hit tune "Pomizhi". M-Son pends to be the Soon to be known Gbagyi finest rapper as he proves himself Worthy On the tune "Pomizhi" produced by Shugabeatz.. Follow on:- Instagram @Mson9, Twitter @Mson9. YoungGod , one half of the dynamic duo Christ Rydaz, releases “The grace life”; the lead single from his upcoming EP. On this track produced by Abuja based producer Tklex, YoungGod enlists the help of fellow rapper Sokleva of Rooftop MCs and label mate Corban . This record is definitely a good start for his solo project. Although the group Christ Rydaz are still very much together, they have both stepped out to do individual projects before coming back to release other music.. Ever On Records presents the official single of their frontman, fast rising Young, talented and promising music artiste “XTEND” Chijioke stanley chukwuebuka also known as "XTEND" was born in Lagos State, December 1999, He hails from Anambra state,Nigeria. "XTEND" the multi-talented fast rising Act is currently studying music and creative art at Babcock university Ogun state. Ever On Records hereby presents this official single titled "SLIM MAMA" by Xtend under its imprint featuring talented “Angelkosy”. The video to this song has been shot and ready to be released in few weeks.before then, download and enjoy this lovely song by XTEND which was produced by Pbanks,while mix and mastering by Brian On The Mix. Get ready to dance! "Gossiphallelujah" is the fresh new single of the great Cameroonian Artist Museba. This song is a strong motivational message; beautifully blended with South African house music and Afrobeat crowned with her french touch . Its all about hope, perseverance and faith in every dreams you want to acheive regardless the obstacles. People will always gossip but we keep shining !! Produced by the talented Nigerian artist Oteebeatz. Video script written by Museba and directed by Barry Alvins Films. Ayodele Opeyemi Roland, well known as Fynest Roland plan to drop his last two single Titled: Abiamo and Denge Pose under the constable of Goshen Epire Because he got his new deal with Meddat Entertainment. So he dedicate this to all lovely mother outside there. Listen and Enjoy the classic Vibe. #Goshen Empire #Meddat Ent.